After months of speculation and noise of all kinds, the second generation of AirPods has finally been tacitly unveiled. Contrary to what I expected, however, the AirPods 2 are not exactly what I imagined. All the information about a black variant, a new design and biometric functions were wrong. So much so that I started to think that these should actually be called AirPods 1.1. My first disappointment about the new generation of AirPods was caused by the almost identical design to the previous ones which, I would like to remind you, is now two years old. Many reports, moreover, had made more and more users believe that this time there would be a black version (or Matte Black, as Apple fans like it) followed by other colors and a new design that would give owners a more secure fit in the ear to avoid accidental falls. As for this last point, there is little new. This is the design that Apple has chosen (without too much effort), while with regards to colors there is still a possibility: many of the products under the Apple brand get new colors months after their launch on the market, which is why Apple could still play this card in a few months, perhaps during the presentation of the new iPhone. The real update of this year's AirPods is undoubtedly the new charging case that is able to enjoy the feature of wireless charging, compatible with the Qi standard. However, just to show you how "different" the new AirPods are from the previous ones, the new cover can be purchased separately for $80 and can also be used to recharge the old Apple AirPods. The only good news is that the new model of AirPods costs exactly the same price as the previous generation, so $159, but... without the new charging case, of course. At this price you will find in fact the classic old charging case, so you'll have to spend a little more to get the new one with your AirPods ($200). All these reasons have prompted most users to opt for the wireless charging cover alone rather than buying the whole new kit. Overall, therefore, the features of the AirPods 2 are not so interesting as to stimulate the purchase of the new package proposed by Apple, much less just the headphones despite having kept the same price of the previous model. The new H1 chip inside them is undoubtedly a step forward and allows owners to get a custom sound architecture to enjoy a better sound experience and better synchronization. In fact, the new chip guarantees connection times between Apple devices and AirPods twice as fast as before and, thanks to lower power consumption, for about one hour longer than before. On the contrary, if used for listening to music, the battery life still remains at five hours in total. Autonomy aside, the good thing about the H1 chip is that it allows you to charge your headphones faster than before. But should all this really be enough to convince users to buy the new model? Maybe Apple will keep its last trick up their sleeve. After seeing some screenshots of a secret screen in the iOS 12.2 beta last month, it was pretty much obvious that the new AirPods would integrate Siri on board. 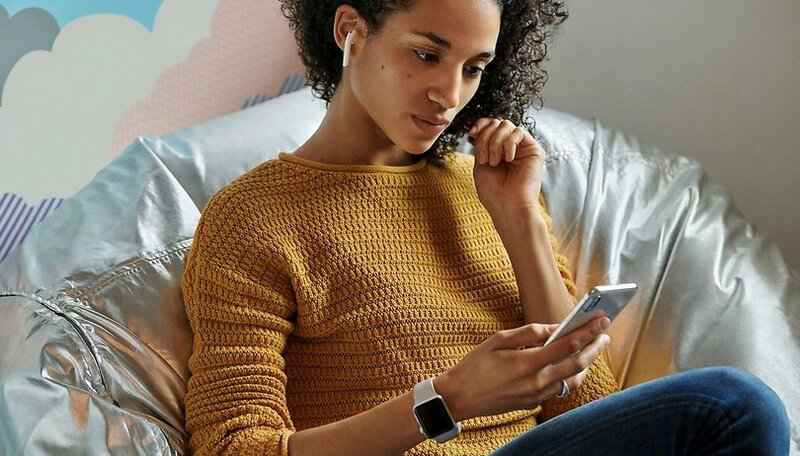 In fact, thanks to the new chip you can say the words "Hey, Siri" in order to use Apple's virtual assistant directly from your headphones, a feature already seen with Microsoft on its Surface Headphones. In short, in my opinion, there is really nothing revolutionary and many owners of the old model can safely refrain from opening their wallets once again. On the contrary, if I were in the shoes of someone who bought a couple of old AirPods a short time ago I would not be at all happy, indeed I would be furious. At the same time, however, there is little to get angry about and you also have to put yourself in the shoes of Apple: why should the design of the most popular earphones in the world be changed? There's no reason to risk creating a product that's too different from the original. For this reason, I expect a completely new product with a different name to arrive, but... while I wait, stop calling them AirPods 2. It's better to call them AirPods 1.1!